Have you experienced trauma or a traumatic event in your life? Have you been struggling with PTSD or complex PTSD from relationships or adverse childhood experiences? At some point, most us will experience a time where our instinctual fight-or-flight programming will kick in. 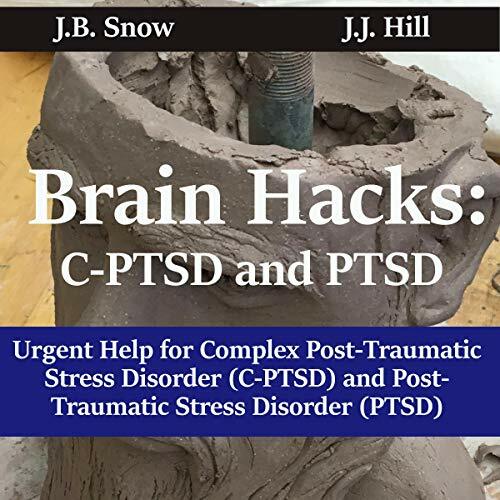 We may not always be able to control how our body and mind react to a given traumatic situation; however, we can help fix the symptoms to your problems and reprogram your minds with brain hacks. You will need to become more aware of your triggers and recognize when you are being “set off”. You learn how to better understand what you can do to hack your mind and become more in control of your life. Understand how to identify where your anxiety comes from and how to deal with your stress. Figure out why you feel helpless or why the fear of the unknown has you paralyzed with fear. You will better understand why you should not use PTSD or CPTSD as a crutch to move through life and in certain situations when it will and can be used against you. You will hear more about how to use both sides of your brain and hacks to integrate both hemispheres of your brain and which side of the brain controls what. Inside, there are brain hacks to deal with self-confidence, self-esteem, and anxiety. Understand how to reprogram your subconscious mind with simple tricks to think more positively and adjust your attitude, outlook, and your perception of yourself. Learn to use the “mindbus” technique to hack your brain and how to use it to reprogram your negative thoughts. Understand and give your mind the nutrients with foods that help boost your dopamine and serotonin levels naturally in your brain to help combat PTSD and CPTSD. Simply eating the right diet and exercise can ward off depression and help stop the downward spiral before it begins. We cannot always choose the people we work with or the environment we work in, but we can change our environment from time to time. You can find ways to keep yourself sane and in a positive headspace by relieving yourself of some of stress that you can control. All the answers are right here. Free yourself of your anxiety and regain that confidence in your life. Figure out your emotional quotient or emotional IQ and learn to cope with your situation. You have the power to change and the tools before you to gain control of your life. Be free of your anxiety; start here and now. Quick and Dirt but filled with Gems. I recommend this for anyone who wants to supplement their work.